Time for another project update. 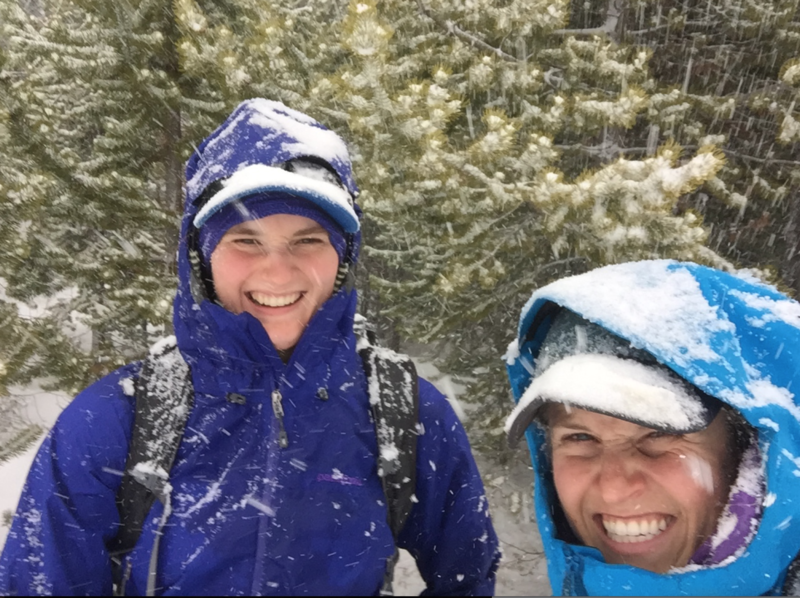 As most of you know Grace and I came out of the mountains last Thursday for a few days as conditions in the Wind River Range did not allow us to collect good data for our research project. In our first week we successfully installed a base camp at Clear Lake and shuttled a huge load of sensors, bottles, syringes, filters, and other research equipment into the mountains. With 4 miles of hiking to even get to the trailhead and another 7.5 miles to Clear Lake from there – not to mention very wintery conditions – this was no small feat. We were very lucky to have the help of Conor Raney from Pinedale, WY as we moved all our equipment into the mountains. Once in the backcountry, we tried to sample snowmelt at Deep Lake, only to find that we were getting much more snowfall than snowmelt. 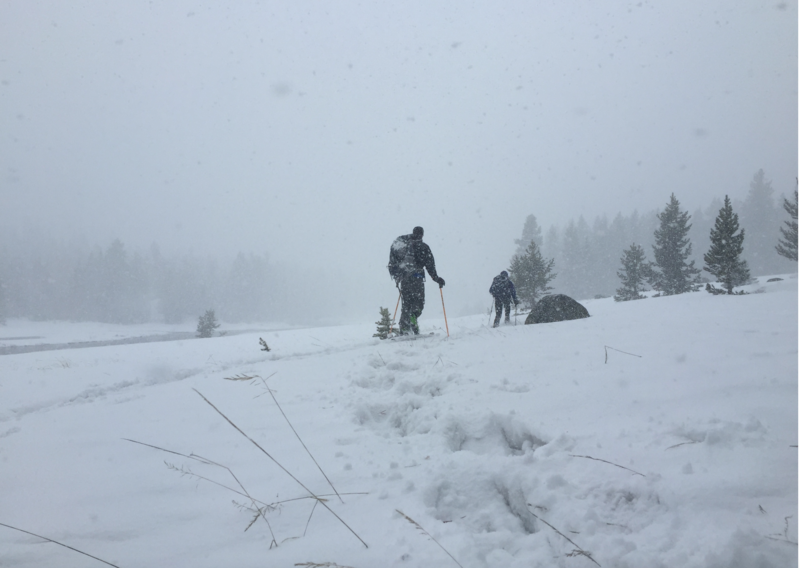 The cold temperatures, limited visibility, and relentless precipitation made collecting good data very challenging. The weather forecasts we received also showed continued poor weather so we opted to retreat from our basecamp last Thursday. The good news is that we were just a week too early to start collecting data, and we should be able to continue with our plan. Grace and I enjoyed some excellent rock climbs and sunshine in the Wasatch Range outside of Salt Lake in our time off. Now that we have dried out and warmed up, spring finally appears to be making it’s way to the high country. The forecasts look good for clear, warm weather starting in the next few days. Our current plan is to drive as close to Big Sandy as we can get tomorrow and hike into the Cowgirl Cabin for the night. 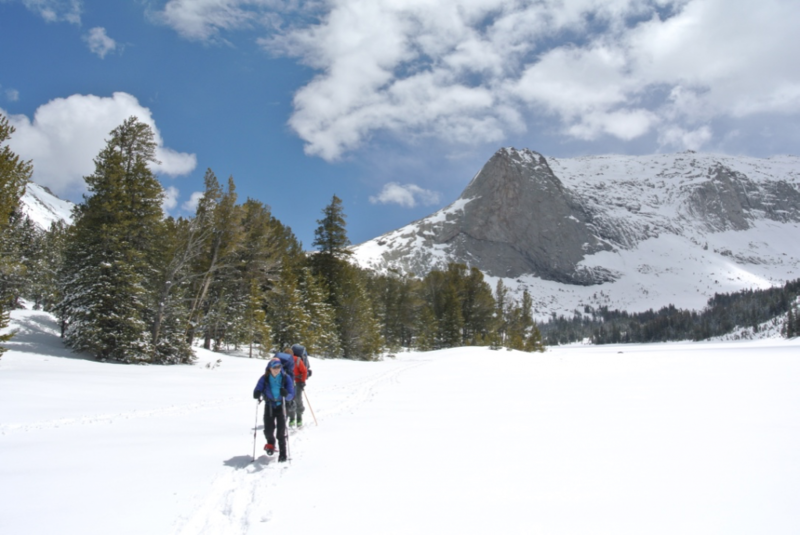 Wednesday we’ll get an early start to take advantage of firm snow conditions and return to basecamp at Clear Lake. If the forecast is right, we should be able to start collecting data right away and have a productive few weeks in the Wind River Range. Depending on what we find, we may move base camp a little closer to Deep Lake to shorten our commute. For the time being we’re loading up on fresh veggies and fruit, recharging our kindles and looking forward to getting back out there. Thanks for all the weather reports and advice on what to do last week. We’re excited for round 2!